The happenings surrounding Connecticut’s gambling field never seem to cease and the latest one is directly connected to Interior Secretary Ryan Zinke, who has been targeted by two Native American tribes. They are willing to build their own tribal casino venue in East Windsor, but this November saw the Department of Interior missing a crucial deadline for the future gambling venue. Now the Mohegan and Mashantucket Pequot tribes have opted for filing in a lawsuit against Mr. Zinke and the department, claiming that the move has been a deliberate attempt to benefit another casino project in Bridgeport. MGM Resorts International has been working towards constructing its new gambling location in the region and there are reports that the casino developer has invested as much as $3.8 million on lobbying in the state of Connecticut. The main objective of this move was to convince leading entities in the area to back the company seeking for important legislation that would see the $675-million project finally established. 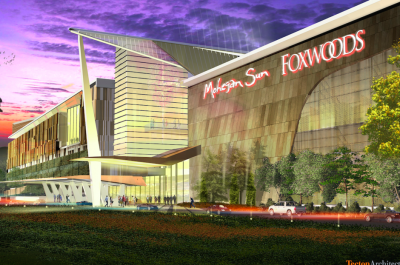 The gambling operator wanted to be given the green light for its casino and entertainment complex, which is set to feature 160 gaming tables, 2,000 slot machines, a 300-room hotel, a 700-seat theater, as well as a dining and retail area. Now the two Native American tribes are taking action, claiming that the officials in the Department of Interior are preventing them from commencing construction on the site of a long-shuttered Showcase Cinema. 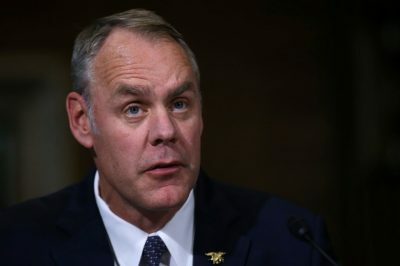 According to Sen. Chris Murphy, D-Conn., MGM managed to influence Secretary Zinke so that he overruled the decision of a career public servant at the Department of Interior. Following several meetings held with MGM lobbyists and the company’s Republican supporters in Congress, the Mr. Zinke and his colleagues at the department chose to refuse to ink the plans for a third Connecticut casino managed by the two Native American tribes. The mandatory 45 days given by the Federal law and needed for making the decision and placing the coveted signature on the proposed changes to the compact passed by and there was no decision issued by the authorities. This put the Mohegan and Mashantucket Pequot tribes in an unfavorable position since they are left in the unknown and seemingly overlooked by the authorities. Since the Department of Interior has not done anything official, the proposal should be considered approved. The decision should also be published in the Federal Register, signifying its official status. This position was maintained by the lawsuit filed in November 2017 and by Gov. Danniel Malloy, who submitted the joint lawsuit together with the two Native American tribes. When they insisted on an official meeting with Mr. Zinke, the Interior Department decided to remain silent and not respond to the invitation. This month should see the officials response regarding the November lawsuit, and it should be noted that MGM has proposed to join the lawsuit on Interior’s side.